Huawei P20 Pro will come in Black, Blue and "Twilight"
Huawei is set to launch its latest flagship smartphone series on March 2017, and the speculations around the upcoming Huawei P20 lineup has set the Internet abuzz. Just when we thought there has been too many rumours and leaks regarding the Huawei P20, P20 Pro, and P20 Lite, a new report has revealed totally new colour options to look at. Additionally, another leak has reportedly outed the pricing details for one of the three smartphones in the series - P20 Lite. 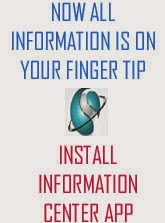 The latest leak comes from popular tipster Roland Quandt via WinFuture. The report showcases press renders of all the three Huawei P20 handsets and the images give us all the colour variants of the smartphones. 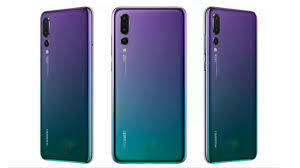 As per the images, the Huawei P20 Pro will come in Black, Blue and "Twilight" (Purple) colour variants, while the Huawei P20 will be available in Black, Blue, and Pink-Gold colour options and the P20 Lite in Black, Blue, and Pink. According to the leaked images, the P20 and P20 Pro appear to sport a matte-metallic finish on the back, the P20 Lite seems to come with Huawei's reflective glass back. However, the most interesting colour option in the handsets is the Twilight variant in the Huawei P20 Pro, which appears to be like a gradient. Meanwhile, the report also cites a leaked handbook, claiming that the Huawei P20 will get a 3400mAh battery while the P20 Pro will get a larger 4000mAh battery. It also added that the P20 may no longer offer a microSD slot. Coming to optics, the report says that the P20 Pro may sport a telephoto lens capable of close to 3X zoom. Also, the P20 and P20 Pro may feature dual cameras with f/1.6 and f/2.4 apertures. Additionally, the main cameras on the back are said to have a laser autofocus and in addition to the LED flash, they also have an infrared-based colour temperature sensor available. As per the report, the P20 Lite will be priced at EUR 369 (roughly Rs. 29,600), the P20 will be available ar EUR 679 (roughly Rs. 54,400), and the P20 Pro will cost EUR 899 (roughly Rs. 72,000). Interestingly, two websites in Poland have listed the Huawei P20 Lite, revealing the price, full specifications, and images of the handset. As per the websites, the P20 Lite will be priced at PLN 1,599 (roughly Rs. 30,500) in Poland and will ship starting from April 26. As per the leaked specifications, the Huawei P20 Lite will sport a 5.84-inch (1080 x 2280 pixels) Full HD+ display with. It will be powered by an octa-core Kirin 659 processor with MaliT830-MP2 GPU. It is expected to come with 4GB RAM and run Android 8.0 Oreo with EMUI 8.0. Also, it will sport 16-megapixel rear camera with LED flash, and a secondary 2-megapixel camera. On the front, there will be a 16-megapixel selfie-camera. It will be fuelled by a 3000mAh battery, as per the listing. While these are just leaks, we can't vouch for the authenticity of the specifications, pricing, and other details ahead of the Huawei P20 launch on March 27. Until then, keep your eyes open for more Huawei P20 leaks and take them with a pinch of salt.